If you are in the market for a remarkably unique-looking gemstone which will captivate your senses, look no further than pietersite. This gemstone showcases a spectacular rainbow of hues with a distinctive, sparkling shine. It is astonishing pietersite is not more famous. This gem is closely related to tiger’s eye (tiger’s eye is typically one of its components), but owing to its brecciated formation, it has a very different appearance. It has that same radiant, almost 3D shimmer you may be familiar with if you have looked at tiger’s eye gemstones (this optical effect is called chatoyancy), but the similarity in appearance ends there. The brecciated materials in pietersite have been cemented together by quartz. The process of fracturing and folding that the compositional materials have been subjected to prior to being cemented are exactly what gives pietersite its uniquely patterned look. In short, pietersite is brecciated tiger’s eye, hawk’s eye, or both. Thanks to the brecciating process, pietersite does not feature the same simple bands of color that tiger’s eye is known for. 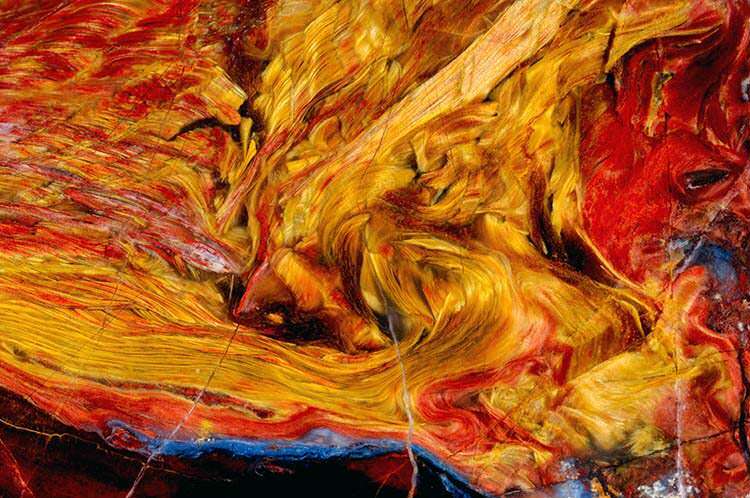 Instead, the different colors swirl across the surface in a chaotic manner. Looking at pietersite, you almost get the impression of flowing liquids which have been suspended in time, frozen in a moment of frenzied movement. The other big difference between tiger’s eye and pietersite is that tiger’s eye commonly occurs only in brown, whereas pietersite may come in a wide variety of colors. In fact, a whole spectrum may be present in a single stone. Typical colors include gold, red, blue, and black. The gold and red shades actually typically are contributed by tiger’s eye. 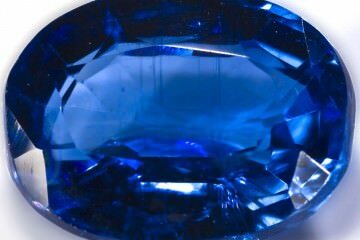 The blue shades are contributed by hawk’s eye (for more information, please see the Buying Guide and the section on Related Gemstones at the end). These strong primaries make a bold statement together. As you turn the gemstone in your hand, the chatoyancy catches the light and you see that subtle beautiful shimmer that seems to move across the surface of the stone. Pietersite is sought after for gemstone collections and jewelry, not for industrial use. The gemstone may be tumbled and polished, or it may be carved into objects such as skulls, hearts, animals, geometric shapes, and so on. Pietersite may be shaped into beads, but it is rarely faceted since its surface is opaque. Faceting does nothing to emphasize the smooth swirls of color. Thankfully there are really no other gemstones that resemble pietersite, so you are not likely to run into imitations. The only other stones that look all that similar are tiger’s eye and hawk’s eye, but both can easily be distinguished from pietersite because of the differences in how the gemstones form. Tiger’s eye does not share the brecciated look of pietersite, and neither does hawk’s eye. The colors form in bands, and are usually shades of brown or blue (not brown and blue). 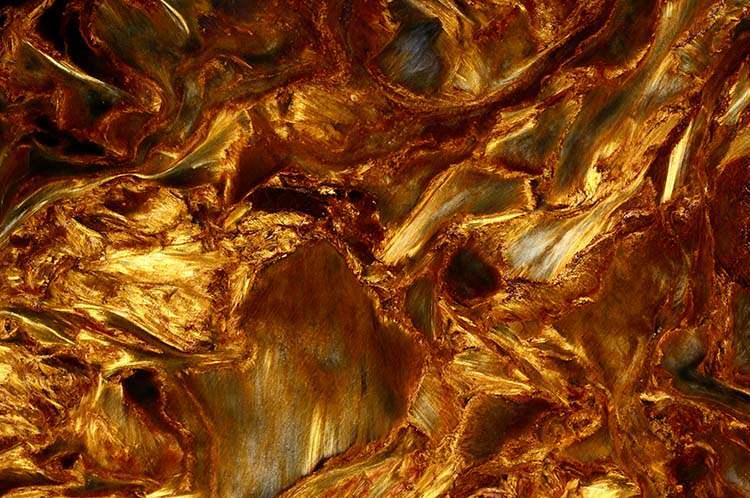 Pietersite’s chaotic swirls and contrasting hues make it stand out in an instant. Remember, both tiger’s eye and hawk’s eye may be present in pietersite gemstones. For that reason, it would be hard to call a piece of tiger’s eye someone is trying to pass off as pietersite for whatever reason as an “imitation.” Technically it is a component, a precursor. But since it has not been subjected to the process of brecciating, you do not have pietersite. Pietersite is relatively common. Specimens can be quite sizeable, and you usually will not see prices listed per carat as a result. In fact, you will typically pay less than only a few dollars per carat. However just like any gemstone you will pay far more for world-class pietersite. Pietersite is generally sold as large, polished cabochons. You can set these in jewelry yourself, or purchase finished pieces which feature the same. You can find pretty much any kind of jewelry fashioned out of pietersite. Bracelets and necklaces using rounded pietersite beads are common. Earrings are less so, perhaps because pietersite usually occurs in larger sizes. While the gem can be cut down, why would anyone want to break up a large, beautiful specimen? For this reason, you will usually find pietersite used for larger rings and for pendants. Long oval shapes are particularly popular for both. Pietersite usually is not used for engagement rings. Why? From a financial point of view, it’s understandable. Pietersite is looked at as a “cheap” semi-precious gemstone, just like tiger’s eye. Pietersite doesn’t make a very romantic statement as a result. It doesn’t require much in the way of sacrifice to purchase. From an aesthetic standpoint, transparent gems are far more likely to be used in engagement rings. These gemstones have that depth and sparkle which most people expect to see in an engagement ring. An opaque gem just won’t cut it for most recipients, however beautiful the stone is. Still, pietersite makes a beautiful statement for any other occasion. With a hardness of 6.5-7 on the Mohs scale, pietersite is a strong, durable gemstone. This makes it suited to everyday wear. Pietersite is undeniably gorgeous and absolutely amazing to look at. The rich colors and the mesmerizing shimmer are remarkable. The high contrast between the colors can make for a vibrant and charismatic look. Many gemstones feature a warm wash of gold and copper tones meeting dramatically with icy blue hues. The bold primary colors of pietersite may make this a good unisex gemstone. Men may feel as comfortable wearing this stone as women. As a gift, pietersite jewelry doesn’t necessarily make the same statement as a gift of more expensive jewelry. But it does make a striking choice all the same. So if you are giving pietersite to someone, make sure your recipient is a person who will appreciate the gem for its beauty and not just its cost. Cleaning Pietersite: Avoid ultrasonic or steam cleaners, and stay away from chemicals as well. Use a mild detergent if you need it. Water is often enough all on its own. Wipe the stone down gently, make sure you wash off any soap you have used, and leave it to dry. Storing Pietersite: This is a gemstone that may react to high temperatures. If exposed to heat, the colors on the surface could change. So keep pietersite away from direct sunlight. Store it in a cool, dark, dry location. Even though pietersite is reasonably hard, it can still be scratched, so also keep it in its own pouch. Wearing Pietersite: While pietersite is hard enough that it is suitable for everyday wear, you still need to take care of it so you do not end up scratching it. Even a small scratch may stand out on the surface because of the chatoyancy of the stone. Do not wear your pietersite while you are working out, doing manual labor, or are engaged in any other physically intense activity. In the mornings, put it on after you do your hair and makeup and not before. That way you will not get chemicals on it. Pietersite was first described in 1962 by Sid Pieters, who discovered it in Namibia while prospecting farmland. Pieters registered the stone in the British mineral records, and two years later in 1964, his discovery was published. As you have probably guessed, the gemstone was named in his honor. Because pietersite wasn’t officially identified until the 1960s, there is not a lot of information about the history of its usage. Over the years, pietersite has become more well-known, but it is still not nearly as famous as its cousin tiger’s eye. 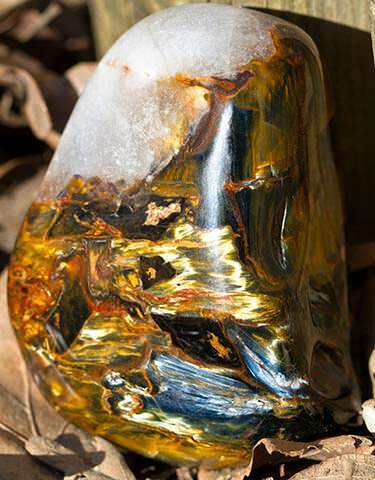 Pietersite typically features warm golden and brown hues together with cool blue colors. For that reason it is associated with the solar plexus chakra and third eye or throat chakras. This means it is also linked to the meanings and abilities typically attributed to those chakras. Pietersite may represent leadership, intuition, and clarity of thought and communication. As such, it is a great gemstone to wear or carry if you are in a position of authority. Pietersite can help you to hone your intuition, find pathways to solutions, and present those solutions to others. 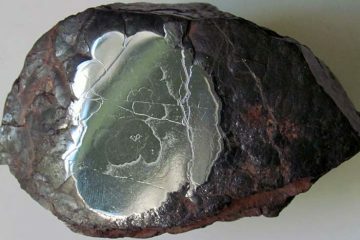 Because pietersite’s surface looks like churning clouds, it is also often associated with storms. Metaphysical practitioners consider it to be a high-energy storm, and some people carry it while driving in harsh weather because they believe it will confer protection. It is also thought that pietersite can discharge stormy emotions and restore feelings of calm and balance. A beautiful polished chatoyant pietersite stone from Namibia that shows all colors. Tiger’s eye: This is the most well-known example of a chatoyant gemstone. Anyone who has ever been to a rock shop is bound to have picked up a piece and admired it. Tiger’s eye’s luster is generally in the golden or brown part of the spectrum, and may sometimes have a reddish tint. The colors always occur in distinct bands that run in relatively straight lines cross the stone. Tiger’s eye is a common component in pietersite. Hawk’s eye: This is another chatoyant gemstone which is usually either bluish gray or bluish green in color. 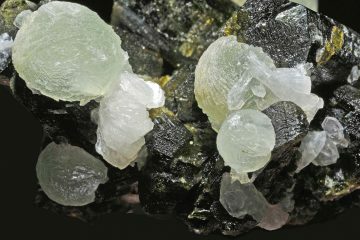 Hawk’s eye is a pseudomorph of quartz. In other words, it is a mineral which started out as another (in this case, crocidolite) and transformed over time into quartz. Interestingly enough, hawk’s eye and tiger’s eye are also closely related. Basically, traces of iron oxide linger behind as blue crocidolite morphs into quartz. Iron oxide alters the color of the resulting gemstone. Less of it will result in more of the original bluish color, and you get hawk’s eye. More of it and you get a brownish color, resulting in tiger’s eye. Like tiger’s eye, hawk’s eye is a constituent in many pieces of pietersite. Cat’s eye: This is a colloquial name for a variety of chrysoberyl more formally known as “cymophane.” Like tiger’s eye and hawk’s eye, cymophane exhibits chatoyancy. Usually if the stone is cut and polished into a cabochon, you get a single shiny band that runs down the middle of the stone. This band is reminiscent of the pupil of a cat’s eye, and thus the name. Cat’s eye is not closely related to pietersite, but it is commonly mistaken for tiger’s eye (and a number of other gemstones). There are a few other gemstones which exhibit chatoyancy, including tourmaline, moonstone, and labradorite. Most of these however are quite distinctive-looking in their own right, and generally easy to tell apart from pietersite. 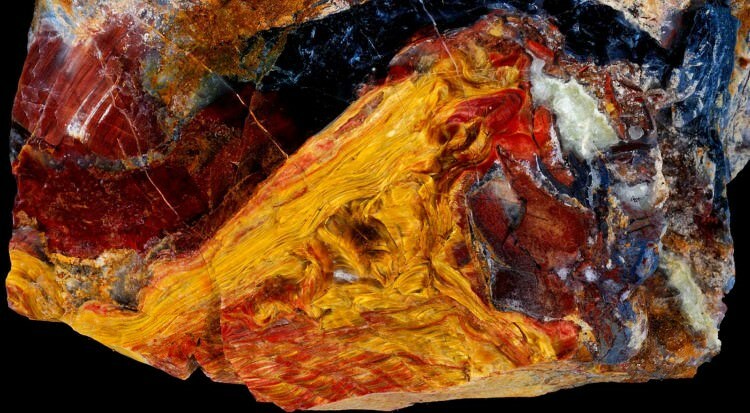 Pietersite may not be a very famous gemstone, but it should be. 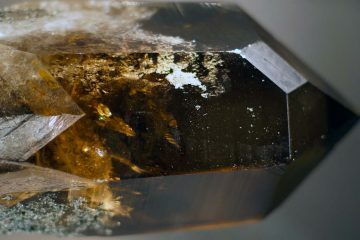 It’s one of the most beautiful, unique stones you will ever see, and makes a great focal point for a ring or pendant. It is tempting to overlook low-cost semi-precious gemstones like this one, but you would be remiss to do so. It is a wonderful addition to your gem collection! Where can I buy pietersite that looks like the first and second picture? I’ve been looking all over online to find a piece with colors just as vibrant as those, but all I’ve been able to find is specimens that either have dull colours or look more like the last picture. Really hope you can help me, it is supposed to be a surprise for my mineral collector husband. His birthday is coming up soon, so I need to get it fast! PS. I also sent a mail, but I thought I’d leave a comment in the hopes of getting a tip from another viewer. Just to be sure: are you looking for a rough specimen, a polished one or a specimen fit for a necklace? A polished stone, like the one you see in the first picture. It is for a mineral collection, not for a pendant, so the more natural it looks the better. It’s fine if you find a specimen that would be fit for a pendant as long as it is not in the shape of a heart or anything like that. It is increasingly difficult to find the specimens you see in this article’s pictures. The Chinese mines are still out of operation as far as we know and most dealers have run out of stock. Plenty can of course be found on eBay and some small online stores, but whether that is safe is another matter. Plus most of the material for sale is not that great in the first place. The only piece worth looking at that we could find is here. It is expensive and we cannot vouch for the seller. So, if you intend to pursue this you should get in contact with an expert, perhaps a friend of your husband’s? That is the kind of specimen I’m looking for. I’ll be getting some help from a friend to get an expert opinion on it. Hopefully it checks out and I can surprise my husband. Are the ones that are sold on Amazon fake? What is a posible price range for tumbled pieterite.